In this compelling book, Harold Hunt charts his life from his childhood during the Great Depression to the present. One of eight children raised by a single Mum in New South Wales bush towns, with only a primary school education, he forged a career as a stockman and shearer, but then graduated as a drunk. His recovery set him on a path to help others experiencing the same horrors he had. Though he never achieved his dream of becoming a boss drover, Harold was awarded an Order of Australia Medal in 2014 for services to the community. This is a good yarn by an ordinary man at 90 years who has led an extraordinary life – with humour, sorrow and ambition. Harold has lived a big life in every sense, traversing most of the changes of the 20th Century. From the Corner Country, out the back of Bourke, we follow a hard and resilient man through the drover's camps, the dust storms and drought, meeting shearers, wandering swaggies and other memorable characters of the Australian bush. In the end, it is Harold's compelling honesty that makes this Everyman remarkable, confiding with us about the pain and pointlessness of racism, his own human failings and the love of a woman he adored but could not hold. What makes this a remarkable story is not only Harold's extraordinary memory for detail, but also the way his life charts how Aboriginal people survived in "the bush" in the twentieth century. Harold's honesty in describing his own battle with alcohol and how he overcame his addiction is a tale of triumph and will inspire readers with his courage and determination. 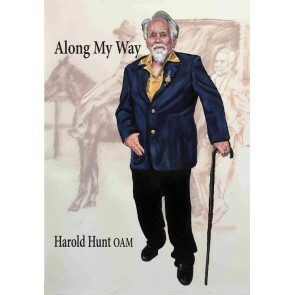 Harold's autobiography, one of few written by a male, joins a distinguished list of female indigenous memoirs and sits well alongside those by Sally Morgan, Anita Heiss, Doris Pilkington and Ruby Langford Ginibi.